Tara Tours is promoting a 7-day/5night journey featuring a tour with private guide in Machu Picchu, for $1,294 per person/double. The program lands in Lima with an immediate flight to Cuzco. A quite morning is spent here in order to get used to the high altitude and to the surroundings. During the stay in Cuzco, once known as the Capital of the Inca Empire, a city tour and visit to the ruins nearby of Sacsayhuaman, Kenko, Puca-Pucara, Tambomachay and other archeological sites are included. The next day you will go by bus and train to one of the most intriguing places on earth Machu Picchu. Temples, palaces, towers and staircases are built into the side of the mountain. Here your private tour guide will take you from site to site explaining the advanced world of the Incas. Overnight in the village of Aguas Calientes, just at bottom of Machu Picchu. The next day is at leisure, so you can go back to explore “The Lost City of Incas” or you can visit the Inca Thermal baths of Aguas Calientes and visit the local market. Mid-afternoon return to Cuzco. On the way back, there is an opportunity to enjoy incredible views of the Andean peaks, the Urubamba Valley and the powerful Vilcanota River. The tour departs every day from USA. Airfare is available from Miami from $600-$750 and add-ons from other major cities are available upon request. 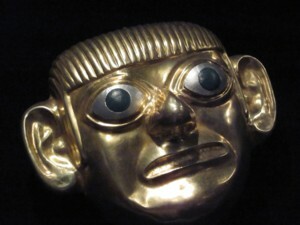 You can see the full itinerary at www.taratours.com/peru.htm#Machu_Picchu_on_a_Budget. Travelers seeking to celebrate the 100 year anniversary of the discovery of Machu Picchu and see all of Peru’s major highlights can do so without forsaking the comfort of a hotel bed with Adventure Center’s eight-day “Cusco & the Sacred Valley” tour – and save up to 15% on eleven 2011 departures. Traveling round-trip from Lima, considered the ‘Gastronomic Capital of the Americas,’ guests explore the architecture of Cusco, where original Incan stonework remains intact; the UNESCO World Heritage Site of Machu Picchu – one of the new ‘Seven World Wonders’; the Sacred Valley, located between the colorful market town of Pisac and the archeological site of Ollantaytambo; and Aguas Calientes, so named for its natural hot baths. A visit to the Peru’s Challenge Community Project at Pumamarca, which works to create opportunities for children living in the Andes region, offers a rare opportunity to learn firsthand about the farming communities of Peru. With small group sizes of 15 or less, English-speaking tour leaders and a comprehensive itinerary that allots free time in each area, travelers enjoy the convenience of group travel and the flexibility of independent ventures. Discounted fares for the 2011 options are US/Cdn $1,555 to $1,698 per person, double; prices for the 21 departures in 2012 range from US/Cdn $1,825 to $1,840. A half-day tour in the Peruvian capital of Lima, a melting pot of cultures ranging from Andean to Asian, reveals reconstructed colonial architecture from Lima’s glory days and visits the Plaza Mayor, Government Palace, Archbishop Palace and San Francisco Monastery. Lima’s National Museum of Anthropology, Archaeology and History of Peru traces its history from the original inhabitants to the Inca Empire and the Spanish Conquerors. In the ancient Incan capital of Cusco, visitors take in the areas surrounding the Plaza de Armas, noted for its 17th-century Baroque cathedral, and discover evidence of Incan engineering in the ceremonial ruins of Sacsayhuaman. The Sacred Valley reveals further examples of Incan advancement with ancient aqueducts, irrigation canals and dams, and features the Awana Kancha tourist center, the ruins at Qenko, the Inca citadel at Ollantaytambo and the village of Pisac. The Peru’s Challenge Community Project gives travelers an intimate peek into the lives of the 1,000 families that have been helped so far, as well as an inspiring view into the future. The trip culminates in a visit to the awe-inspiring stonework of Machu Picchu before returning to Lima. Optional tours and activities allow guests to customize the tour with the areas and attractions that interest them most. Lima’s area of Miraflores, defined by flower-filled parks and beaches, is perfect for casual exploration, while the downtown area is ideal for those looking to savor the exceptional seafood Peru is known for, such as the national dish of ceviche. Free time in Cusco offers a chance to uncover Peruvian history with a tour of the Church of San Blas or a visit to its range of museums: the Inca Museum, Religious Art Museum and Santa Catalina Museum. In Aguas Calientes, guests can peruse the small shops and restaurants or relax in the hot thermal baths at the end of town. Pre- or post-tour extensions in Lima can be arranged when booking the itinerary. Fares include seven nights’ hotel accommodation; English-speaking local tour leader; local flights: Lima-Cusco and Cusco-Lima; sightseeing and tours, including entrance fees, specified in the itinerary; airport arrival transfer; transport throughout; and seven days breakfast. Insurance, visas, gratuities, any optional tours and activities and international air – including taxes and departure transfer – are extra.